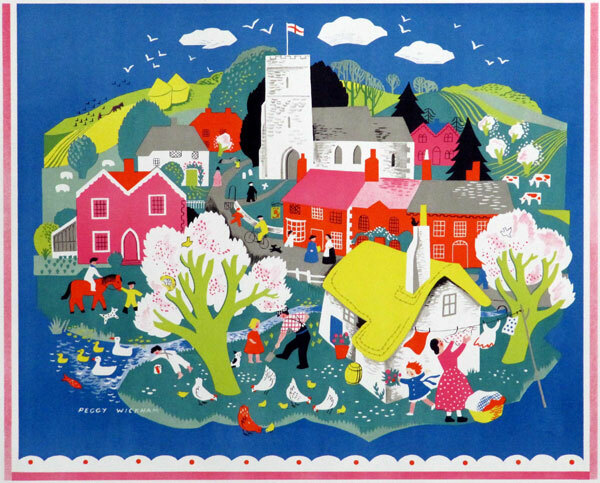 Regulars to the blog will be aware of my discovery and love of Peggy Wickhams work. I sourced a small number of original prints which were published by The Medici Society. ‘The Beach’ has now sold out and I only have a few of ‘The Village’. Imagine my excitement when two further designs were discovered hidden in a barn in Norfolk! These prints are a bit of a mystery which I think only adds to their charm. Medici originally thought they dated back to the 50’s and were lithographs, however they recently discovered stock lists for ‘Foals’ dated 1937. What is clear is these prints are stunning and in fantastic condition whatever their age. Available to buy here. 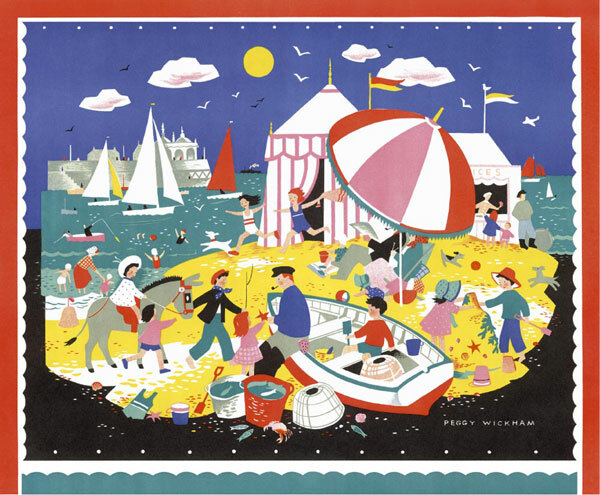 I’ve just had these images sent over of the new Peggy Wickham prints which are arriving this week. I’m really looking forward to seeing them. 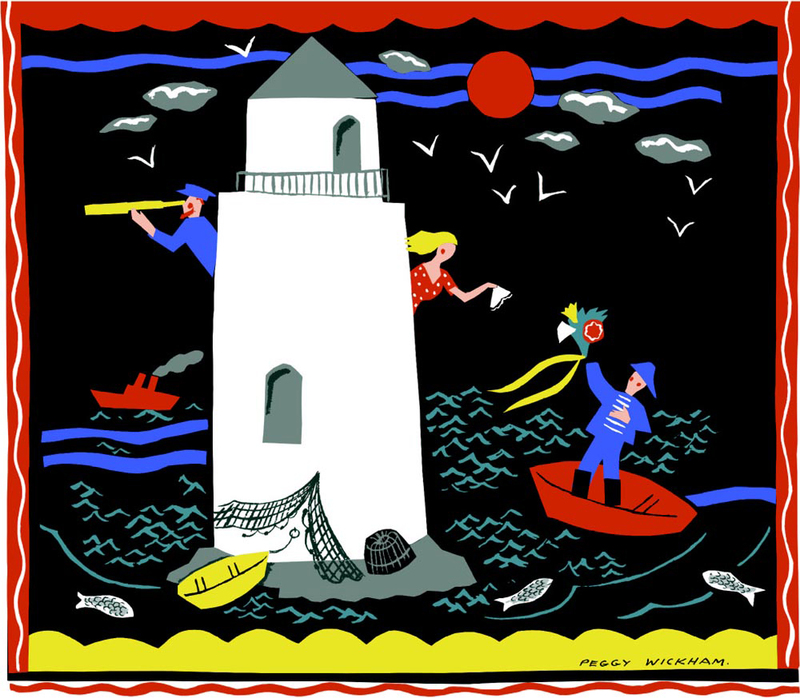 ‘On the Beach’ are original 50’s prints, whilst ‘Ship Ahoy’, ‘The Ship Inn’ and ‘Farm Scene’ will all be reproduction Giclee prints. Original prints are £75 each and the Giclee prints are £20. 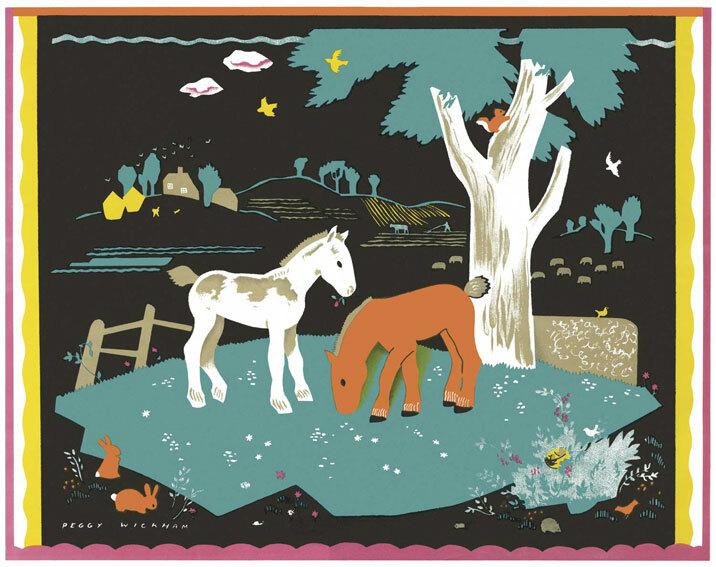 If like me you are a fan of 50’s and 60’s illustration these will make a beautiful and affordable addition to your home. ‘On the Beach’. Peggy Wickham. Paper size 35cm x 40cm approx. 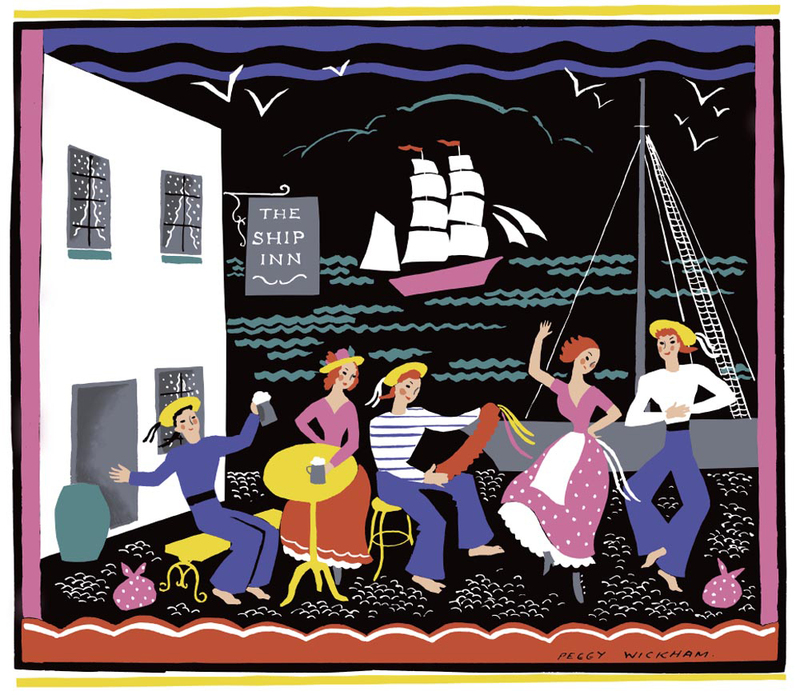 ‘Ship Ahoy’ Peggy Wickham. Paper size 35cm x 40cm approx. ‘The Ship Inn’. Peggy Wickham. Paper size 35cm x 40cm. 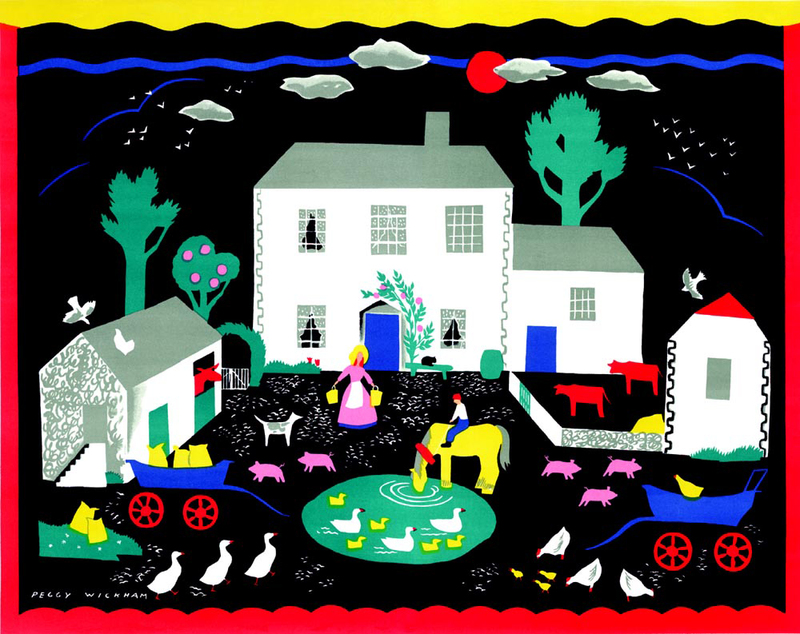 ‘Farm Scene’. Peggy Wickham. Paper size 56cm x 44cm approx. You are currently browsing the archives for the Peggy Wickham category.